All week I've been running around being busy busy busy... And that one day I didn't have anything important to do I felt restless. Because there were so many things on my to-do-list and my (as mentioned in my previous post about pallet love:) I will one day, definitely soon-ish make this-list. So the entire day I felt guilty for doing nothing, whereby I didn't even do nothing that day: I was just running around, about to do something that was on some to-do-list but then I didn't do it. Still following? Well I wasn't. 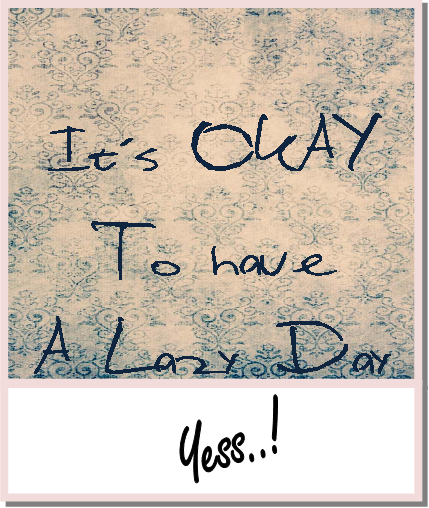 So I put myself in front of a mirror and I strictly said to myself about twenty times that it was okay to have a lazy day today. And it really helped. I didn't do anything, at least nothing I had to do. I just enjoyed my day of nothingness and relaxation. 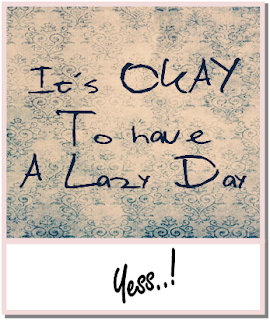 So, to save your day and your peace, it's okay to have a lazy day every once in a while. It makes the next day more productive.